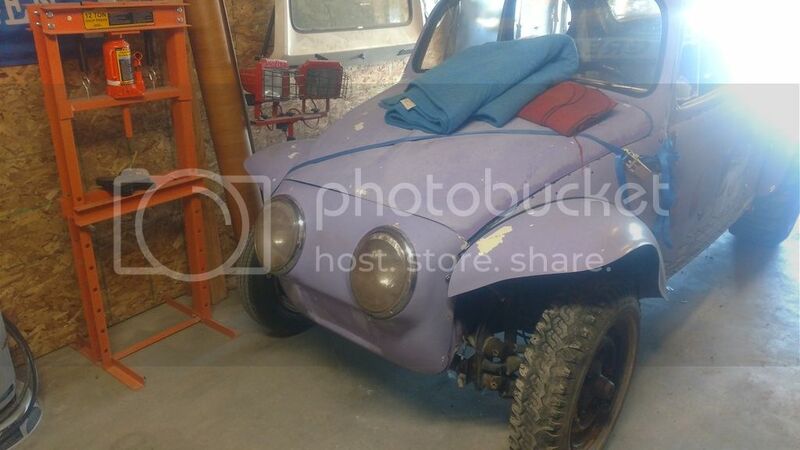 AzBaja.com, Home of the VW Baja Bug -:- Baja Forums -:- AzBaja.com Members -:- New Members -:- I'm a newb. Baja Forums -:- AzBaja.com Members -:- New Members -:- I'm a newb. Post subject: I'm a newb. 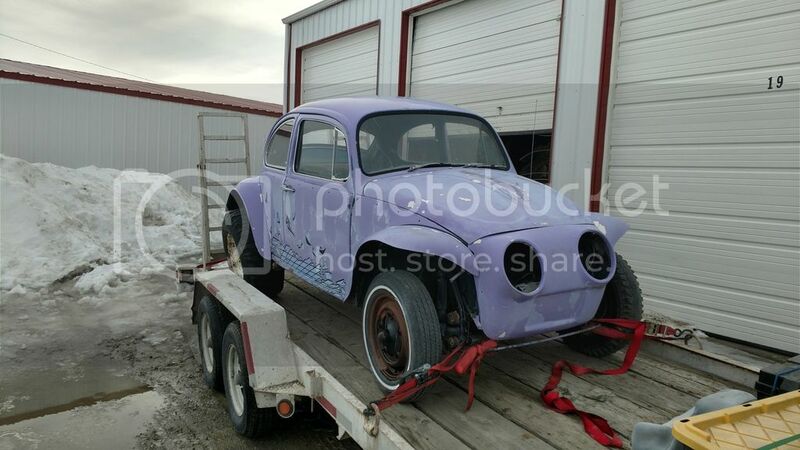 Here is a pic from the day I picked up the purple people eater. And another pick after I unloaded it and drug out a spare engine I had laying around. My first question is the headlight openings are larger than a typical VW headlight. 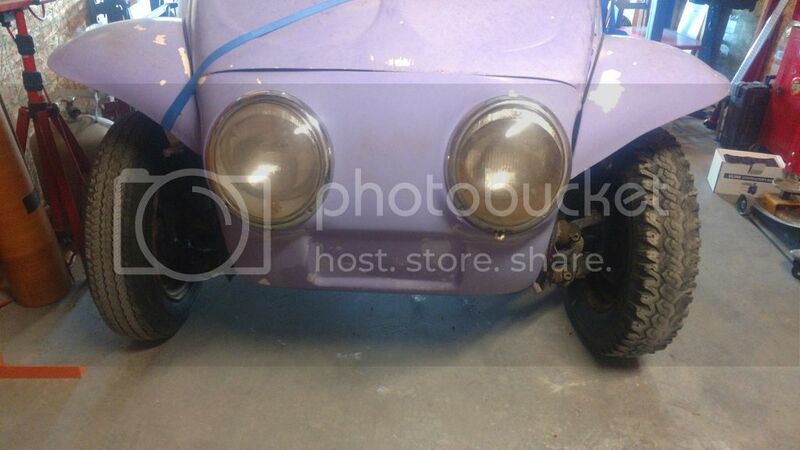 Where can I find a headlight bucket to fit? Welcome to AZBaja. Looks like stock early buckets would fit , you would have to cut them out of a set of fenders. Brand new guy here, Ive done a few street bugs in my time and since then a few Pro-touring cars and a handful of fun car projects. 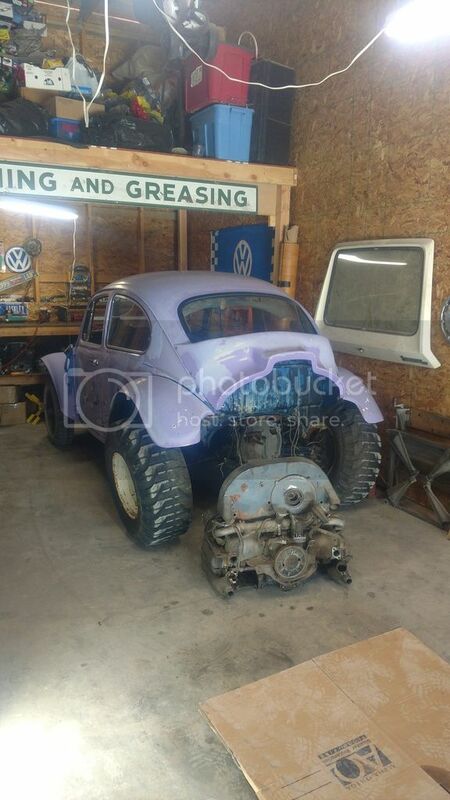 As I got older I strayed away from the VW scene, and now I want to get back into it with a specific build in mind. I thought what better way to get myself antiquated then by joining a website and sharing info. At this point I have nothing to start with...lol. But the end goal is an Eco Tech powered Baja dual purpose ride, no top, ability to have 4 passengers, mid travel and widened stance. 2 biggest question are...is a 74 to new for the majority of the suspension parts I want to achieve this with? And would it be better/easier to find a convertible to start with, rather then removing the top and welding in all the structural needs of a regular coupe..are they same pan...I cant imagine they are. Post subject: Re: I'm a newb. You may want to start a new thread in the new member forum. This tread is just me introducing myself. No biggy. Hope your build goes smoothly. Welcome to AZBaja Yasha Good luck on your build. I've never seen a bugkit like that. Pretty cool and I'm interested to see how you make those lights work. New Members Newb - Now With Pictures! Woohoo!